Today we have a guest post by Thibaud Andre, a French consultant working in China. In 2009, the Chinese government announced the establishment of “a special loan for small and medium-sized African businesses” which offered $1,200 million to support the development of “agriculture, forestry, animal husbandry, fishing, processing and manufacturing, trade and logistics, and other industries closely associated with people’s livelihoods in Africa”. Since then China has developed mutual investment accords with over 30 countries in Africa. Today more than 2200 Chinese companies have invested in Africa across various sectors, including natural resources, agriculture, and construction but also manufacturing, finance, real estate, services… but what exactly was the “other industries closely associated with people’s livelihoods in Africa”? Looking back these few last years, it seems that technology and digital markets are one of the most promising sectors for Chinese companies in Africa. For instance, Chinese investment in the technology sector helped Kenya to stand out as a powerhouse of the digital economy in Africa, along with countries such as Nigeria and South Africa, and to develop the “Savannah Valley”, following the model of the prestigious Silicon Valley. This type of asset in Africa is a key in leading the continent to a fast growth environment like China enjoyed twenty years ago. Indeed, when the world’s most powerful brands look at the African market and its huge demand potential, along with an increasing standard of living, Chinese start-ups will also view the opportunity to grow at the same time as their own markets. It means that these small companies will look firstly at the development of markets by providing access to their technology to the widest audience, without any regard to financial capacity. For instance, the brand My Simax chose to develop tactile tablets for schools, governments, administration and even hospitals but did not plan any distribution channel. Its aim is to provide equipment to those which will most contribute to the development of the country and improvements in the standard of living. Then, MySimax will be seen as a pioneer on the market. But unlike the western market, the competitive advantage in high-tech start-ups in Africa will be in their ability to adapt to a specific target such as schools or public administration. 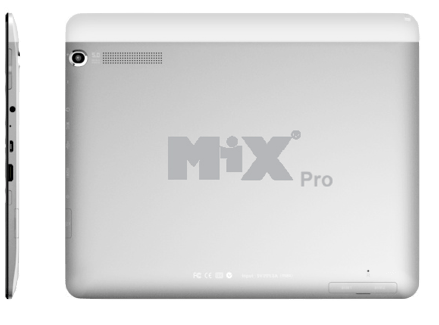 For instance, tablets MiX Pro from MySimax offer educational advantages which make the product fully suitable for school or university usage. They contain all the educational Medias required on a single device, they can offer customized content according to the level of the student, they enable an efficient and easy follow-up and examination of the student’s work and they reinforce the attractiveness of the educational content to the student. Finally, as many fields of technology are currently starting from scratch in the majority of African countries, technological devices as tablets can be developed at the same time as applications specifically designed to this environment. These apps should be user-friendly, adapted for differing cultural tastes and most importantly be of interest to a set of sectors such as medicine, pharmacology or public administration. “We developed educational apps as we believe that the more we adapted our service, the more we are going to succeed on African markets. Things need to be clear, simple and directly oriented to our target”.